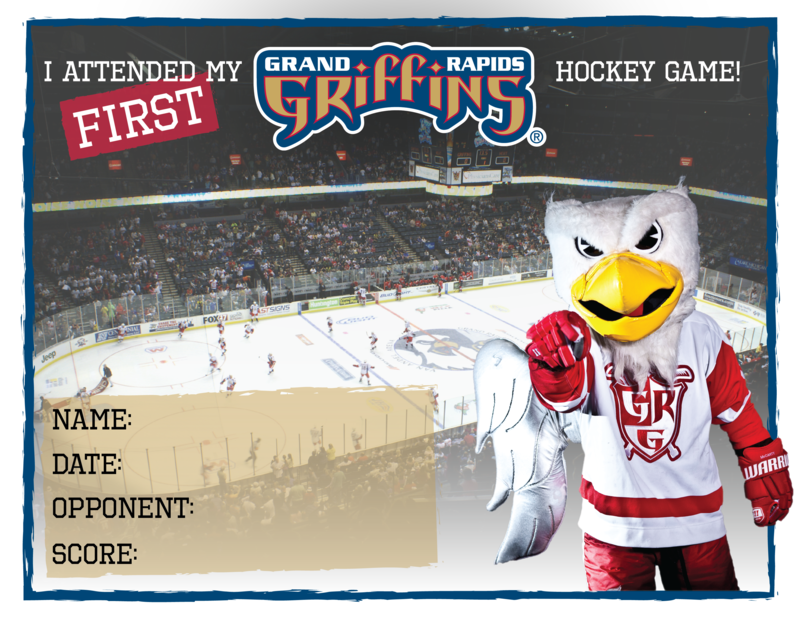 The Griffins provide remarkable experiences for hockey teams of all ages. Whether its a regulation game or intermission shootout, check out these “once in a lifetime” opportunities that your hockey team won't soon forget. Play an entire game on the same ice as the two-time Calder Cup champion Grand Rapids Griffins! Available before most Saturday and Sunday Griffins' games, your afternoon hockey game at Van Andel Arena will include all the "bells and whistles" of a professional contest, including PA player introductions, National Anthem, music on stoppages and, of course, the goal horn! Imagine your team taking the ice for a shootout in front of thousands of cheering hockey fans! Intermission shootouts are only offered during a select number of games each season, so contact the Griffins Group Ticket department today for your team's chance to participate. What could be more exciting for your players than to high-five the Griffins starters just before they take the ice for pre-game introductions? Give your team the chance to get "up close and personal" with soon-to-be Red Wings' stars and create a memorable experience that's sure to be one of the highlights of your season!